An introduction for those planning to have alpacas or those who want a refresher. The course is a full day session running from 10 am to 4 pm with breaks for refreshments and light lunch. There will be seated teaching sessions but also plenty of barn-time covering the basics of how to keep and care for alpacas. 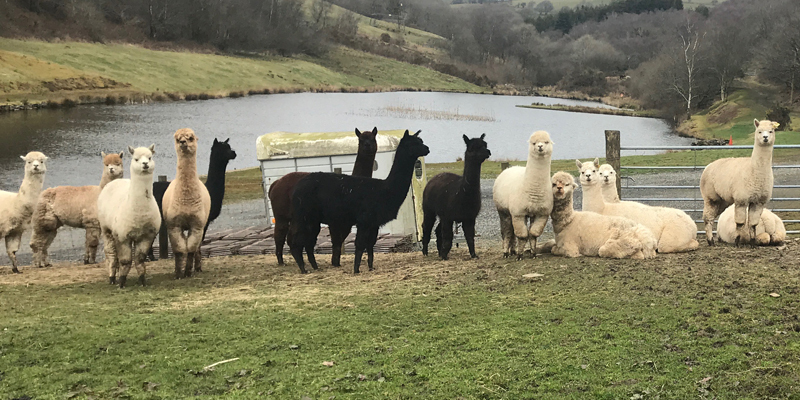 Though an introduction, this course is intended to be practical in nature and will help you gain an understanding and appreciation of the issues to be addressed and how to approach them in caring for alpacas. Course notes are provided, so you will have something to take away for future reference. Given the breadth of material covered in a short time, while it is a practical course, it is by necessity more in the form of demonstration and discussion than individual practice. This is an introduction with more detail available in The Alpaca Shepherd – Advanced Husbandry modules (currently in development). There will be some hands-on and I will need assistants at various points in the course, so come prepared to get involved. We limit the group size to no more than 6 so that everyone has the opportunity to see, hear and have their questions answered. Basic care of alpacas is a full day session with light lunch and refreshments provided. The cost is £80 (inc VAT) per person, which includes refreshments and course notes. We run this course regularly (see below) but can also organise one specifically for you if necessary. Contact us to discuss your requirements.